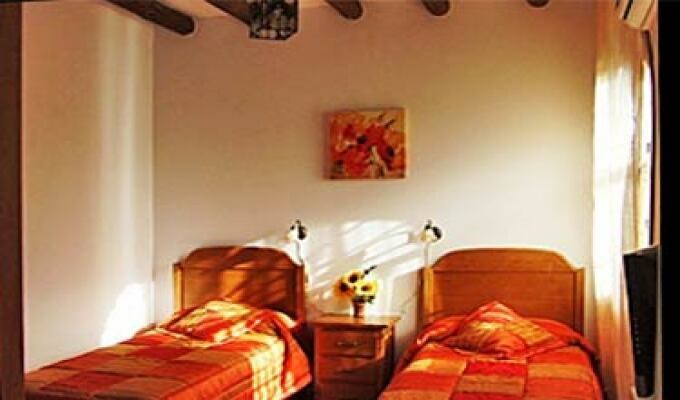 Welcome to the Hostal Rural Villa Cabreros, our rural bed and breakfast has three floors with 5 spacious double bedrooms, all with ensuite bathrooms. All rooms offer air/heat conditioning and TV. Our guest area includes a large comfortable lounge and dining room, with European Satellite television. Tea and coffee making facilities are available in this area. Wireless Internet connection is available through out the building. Three of the rooms have access to the terraza that surround the house. There is accommodation on the ground floor which is suitable for wheelchair users. The Villa Cabreros is centrally located to the historical cities of Sevilla ,Malaga,Cordoba and Granada.